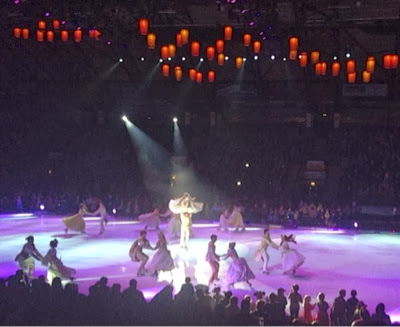 I have never seen a Disney on ice show. When I heard that this year's production was entitled 'dare to dream' and all about our favourite Disney princesses, I knew it was not to be missed. 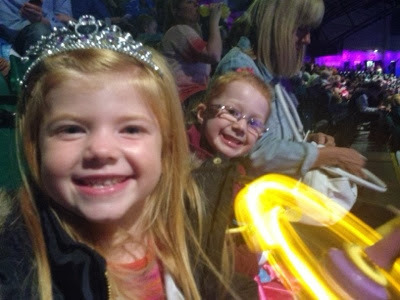 I bought my daughter ( 4) and niece (6) a ticket for their birthday. 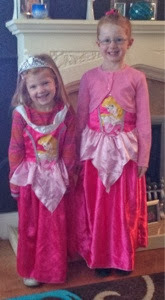 Heidi and Emily enjoyed dressing up in their favourite Disney princess outfits and were generally very excitable. Heidi is trying to grow her hair as long as Rapunzels! I had already budgeted enough money to buy the girls a treat from the merchandise on sale and they had some pennies saved too. I have to say I was very shocked at the prices. A slush in a Disney cup was £8 and a flashing wand was £15!!! These were 2 of the cheapest items! Even just a programme would set you back £9! I had promised them though so handed over the cash. The girls were pleased with their items so hopefully it was money well spent. Our seats were the cheapest seats you could buy (£13.50) and we were in the top tier - however our view was fantastic and the girls managed to see everything. 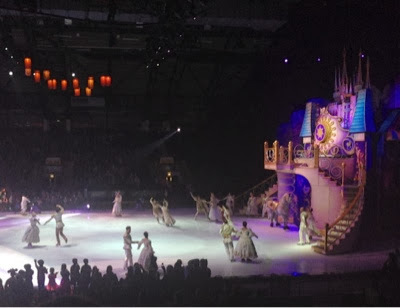 The show is based around 4 princesses - Princess Tiana, Cinderella, Snow White and Rapuzel. 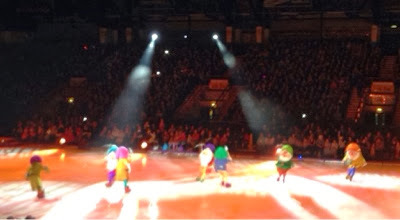 There were special appearances from the seven dwarves, Mickey and Minnie, goofy, Donald Duck and a few wicked witches too! At times we laughed, at times we were scared and at times we were shouting 'look behind you' and screaming at Snow White not to eat the poisonous apple. The show certainly was entertaining. This was beautiful and spectacular and almost took my breath away at how pretty it was. Tangled is one of my favourite Disney film's and the production really did it justice. I loved the evil stepmother who was superbly played and Maximus the horse had us in stitches. There were lots of visual effects in this section too and the ice skating was superb. The final sequence with everybody dancing together and all the crowd singing and cheering along was fantastic. 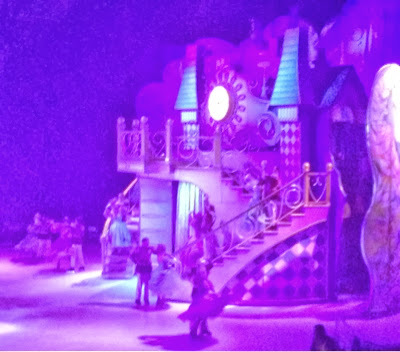 Disney on ice was definitely worth the cost (and staying up late on a school night). I'm already looking forward to next years show.